Let’s face it, we all love Tony Stark and credit must go Robert Downey Jr for really adding some much needed charisma to Iron Man when he first burst onto our cinema screens back in 2008. As is the case with every successful film franchise, a number of video games have been released based on the Marvel films and for those wanting to take control of The Iron Knight, below is a brief rundown of the Iron Man games you should consider. Released for the Gameboy Advance all the way back in 2002, The Invincible Iron Man is a solid 2-D effort with decent graphics (for its time anyway) and a fidelity of controls which means the game doesn’t feel fiddly in the slightest. If there is a criticism of the game, it’s that it’s a little too short but it’s a very entertaining experience nonetheless. 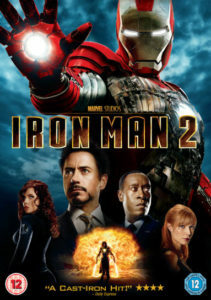 Iron Man 2 is a high-volatility, progressive 5-reel online slot game with 50 paylines, with a number of 3-D graphics and cut scenes taken straight from the movie. Players can trigger a number of free spins and frozen wilds to maximize their chances of a payout, in an attempt to land the lucrative Tony Stark symbol. There are a number of reviews available online for anyone wanting another opinion about Iron Man slots but this is undoubtedly one of the most solid Iron Man video games to date. The Xbox 360 version of the game released in 2010 is quite refreshing in that it isn’t simply a rehash of the movie and instead takes place after the events in it. The plot revolves around preventing Tony Stark’s AI butler, Jarvis, from falling into the wrong hands (it’s better than it sounds, trust us) and if you’re a fan of helicopters, tanks and robots being hurtled at you from all different directions until the final boss, then this is the only Iron Man game you’ll ever need. Which Tony Stark Will You Choose? Whether online slots are more your thing or you prefer 2-D sidescrollers, there’s something for everyone in the Iron Man video game arena – however, this isn’t an exhaustive list and so feel free to do your own exploring down the Iron Man rabbit hole.